Traveling with a group can be exceedingly fun for everyone involved, but it does not come without complexities. 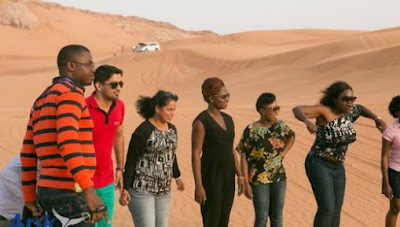 If you are the leader of a group trip, then you may want to take note of these safety tips shared by Jumia Travel. Endeavour to pair your travellers and ask each person to remain with each other at all times. Instruct each person in the group to alert the group leader when their assigned buddy or partner is out of sight. Reach out to someone who is familiar with the cities you are visiting and is able to help you select a location that is safe and group-friendly. As the group leader, before you head to bed, check every external door to make sure they are bolted. If you can, you can check to ensure that everyone is in their rooms. This is especially important if you are travelling to big cities. If almost everyone in your group has a smartphone, then make sure the members of the group have the phone number for the leader and one more group member to their contact list. Also, make sure everyone has taken note of the address and phone number of the hotel where the group is staying. If your group is visiting a large attraction, then pick a centrally located spot and turn it into the rendezvous spot, should someone become separated from the group.